Giving classic tubular design a light makeover, the Junction Chandelier melds slender lines and an exposed bulb provides to create the perfect contemporary industrial look. An opulent lighting display for the home, the snaking profile of this three-tier chandelier fits effortlessly within sleek modern interiors and is available in brass, copper and black. Available in brass, copper and black. Love it but the stickers on the light won't come off without leaving a sticky residue. Not sure how to remove without using chemicals, which we are wary of as it might damage the finish. 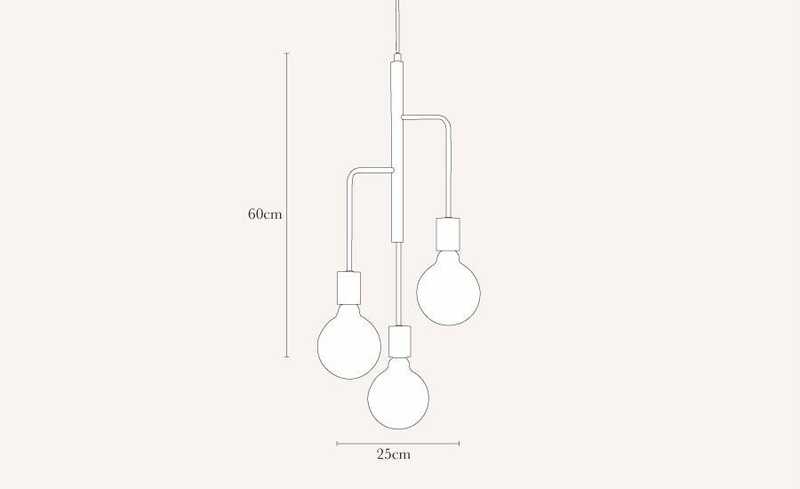 Lovely product, has a black cable that's hard to get to, which may not suit some schemes where the lamps are set at a lower position.